A parking spot in the city is not always so easy. The solution? 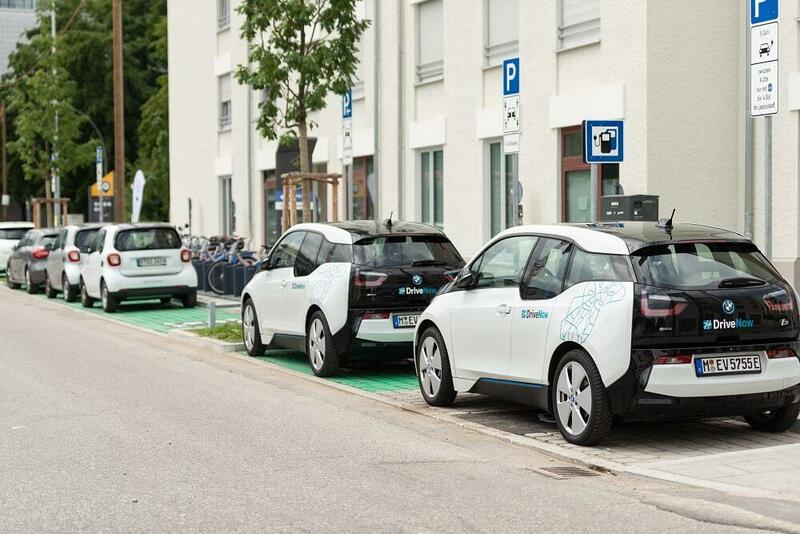 Mobility stations- they not only offer you a variety of convenient parking for the Car Sharing vehicles, but also allow a quick change for other modes of transportation. In Munich, there are now several mobility stations at central traffic junctions which bundle mobility options all in one place. In addition to the proximity to public transport, there are various car-sharing, charging stations and bike sharing options available. Each mobility station has parking spaces reserved exclusively for Car Sharing vehicles. You can recognize these designated spots with a green color. Attention: some parking spaces are exclusive reserved for station-based car sharing or e-vehicles. These are recognized by the Signage (pictorial? ).